Throughout the years of computing, we have found ourselves in complete disarray when we delete a file that we suddenly realize that we need. Shock enters the body and words are shouted so loudly that neighbors are nervous. Data recovery programs have existed for many years, but what data recovery programs should be in the your arsenal? 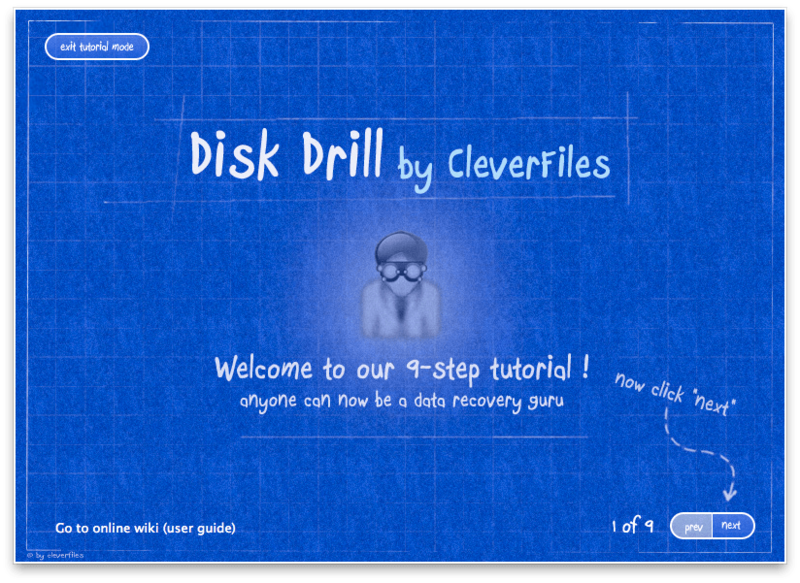 The latest entry comes from the developers at Cleverfiles, Disk Drill — see our thoughts when Disk Drill was in beta. There are four different flavors of Disk Drill: basic, pro, expert and enterprise. Disk Drill editions use a neat feature called Recovery Vault. Once enabled, Recovery Vault helps to protect the files on your Macintosh drive incase the file is deleted. Recovery Vault invisibly monitors all deleted files, their location, size and properties. If your file is deleted, Disk Drill has a high chance of recovering the important file. Additionally, through the use of S.M.A.R.T. (Self-Monitoring, Analysis, and Reporting Technology), Disk Drill will watch and alert you if there are any impending failures of your disk or other media. Additionally, Disk Drill can display the S.M.A.R.T. status of your disks through the menu bar — even the temperature! If an emergency were to happen, Disk Drill has the ability to backup failing disk or other media to a Disk Image (DMG), for more data recovery. Plus, there is no longer need for the failing media because a copy has already been created. Disk Drill is not limited to the Macintosh HFS+ file system. Disk Drill can also recover files from any FAT or NTFS file system. Disk Drill provides a great and FREE solution to keeping your data safe and protected with the Disk Drill Basic version. The Basic version will allow you to enable the Recovery Vault and will recover data that was saved when the Recovery Vault was enabled. If however, the data was lost on other media that was not protected by the Recovery Vault, the Pro edition can help recover the lost data. After taking the 9-step tutorial from the Disk Drill application, I was ready to investigate the abilities of Disk Drill. Disk Drill came at the perfect time. I had recently accidentally deleted clips of a film project. These files that were deleted ranged in the file size of 200 MB to 600 MB. After inserting the SD card into the iMac, I launched Disk Drill and switched to the Recover data tab. Then, selected my 32GB SD card and clicked the “Deep scan for lost data” button and crossed my fingers. Disk Drill ran the scan and a few minutes later, a window showed the movie files that were recorded. After checking the time stamp, I selected the files that were accidentally deleted. Disk Drill had an impressive recovery time of 2 to 3 minutes depending on the size of the Quicktime movie clip. The only downfall of Disk Drill is unlike other Data recovery programs, Disk Drill does not offer the functionality to perform disk maintenance tasks such as defragmentation that is needed on older machines. 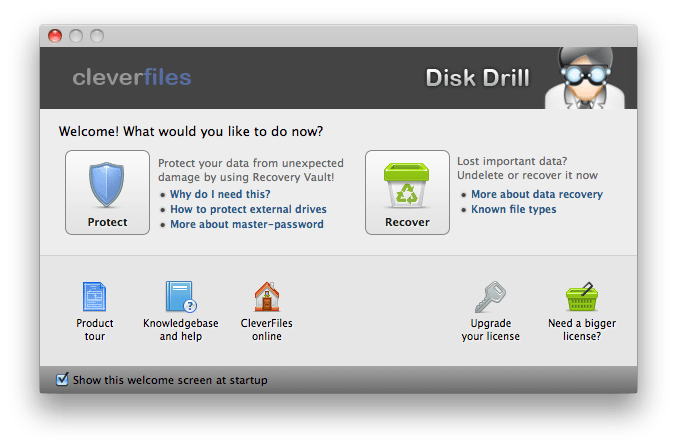 If the starting price of Disk Drill were lowered by $10 it would be placed more competitive than other Mac OS X Data Recovery software such as FileSalvage ($89.95), Data Rescue 3 ($99), and Drive Genius 3 ($99). But, Disk Drill still gives the other programs a run for their money. Overall, Disk Drill is a great solution for Data Recovery on the Mac. The Basic version of Disk Drill is FREE, the Pro version — home use ($89), Expert — commercial use ($169), and Enterprise ($299). Cleverfiles also offers a great 20% discount for non-profits and 50% competitive discount if you have proof of purchase within the last 24 months. Cleverfiles has given us a 20% discount for all TRMG readers to enjoy. Use code: TRMG-DD to receive a 20% discount at your time of purchase in the Coupon Code box under the Order Information.